The legendary real-life lawman Eliot Ness is deservedly famous through the TV series and film The Untouchables, as the scourge of criminals in 1930s Chicago. Less well-known are his exploits in Cleveland, where he continued his crime-busting career. 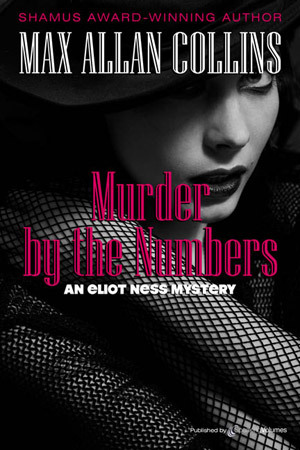 In Murder by the Numbers, Max Allan Collins has combined fact and fiction to capture the excitement of Ness's law enforcement triumphs in the Ohio city. 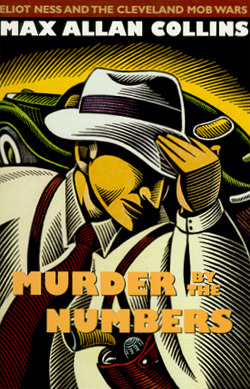 It is 1938, and Cleveland is threatened by a racially volatile gang war. The Mafia is moving in on the black mobsters who rule the Bucket of Blood, the notorious slum made famous by Chester Himes. The conflict is more than just villains fighting over turf. The black gangsters, who have had a lock on the city's numbers racket, have depended more on political connections and on the dreams they sold than on violence. It is the invaders who are bringing murder and mayhem in their wake. As Director of Public Safety, Ness's job is not only to put a lid on crime itself. He must tread with extreme care in order to forestall violent war between the rival mobsters, a war that could escalate into an explosion between Cleveland's large black population and the almost entirely white police force and pols who rule the industrial city. The balance is a delicate one and will require an individual both diplomatic and courageous. Collins realistically shows Ness to be that individual in this action-packed story rich with period flavor.